Tribes Overall: "Great holiday, thank you. All worked very well. Some feedback about things that could be helpful to you (Tribes) booking places etc to come lower down the feedback form." Tribes Service: "This is our second trip using Tribes (first was to the Galapagos Islands). Everything very good. 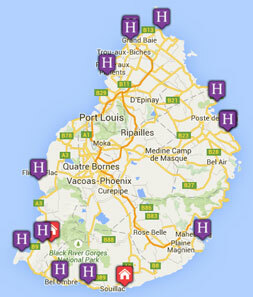 Thank you"
Guides: "We spent a day in Mauritius with a private guide from Connections who was fine." Social & Environmental Responsibility: "Don't really know"
Beautiful hotel and friendly staff. Food good. Staff in the dining rooms were helpful but it is a little disorganised meaning that it can take quite a while for drinks to arrive. Wonderful Spa, suggest everyone tries it. The hotel is on the beach - marvellous setting.